A Mandeville-area man was arrested Thursday evening (Nov. 8) after he fought with St. Tammany Parish Sheriff’s deputies who were attempting to detain him following an incident at a local restaurant. One of the deputies was injured during the struggle and required medical treatment. Management at a Mandeville-area restaurant called the St. Tammany Parish Sheriff’s Office at approximately 6:15 p.m. Thursday in reference to an intoxicated man who had punched another patron and was causing a disturbance inside the establishment. 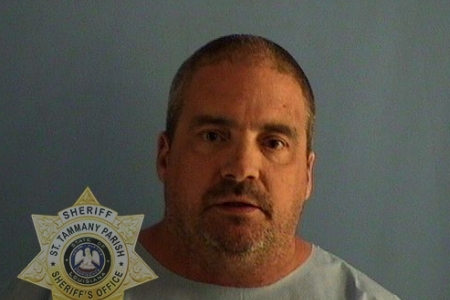 Restaurant personnel removed the man, later identified as 52-year-old Todd L. Schubert of Mandeville, from the restaurant before contacting the Sheriff’s Office. Responding deputies located Schubert outside of the restaurant, where he was attempting to flee the scene in his vehicle. As deputies attempted to remove Schubert from the vehicle, he continued to resist and a physical struggle ensued. Schubert proceeded to punch and kick deputies, striking at least one of the deputies in the head with a closed fist. During the struggle, one deputy sustained a serious injury to his left hand. The deputy was taken to a local hospital for treatment and was later released. The injured deputy has been referred to a hand specialist but is expected to make a full recovery. Even while restrained in handcuffs, Schubert continued to kick deputies as they were attempting to secure him the rear of a patrol unit.